Six years ago today ...I got the dreaded phone call. My mom had died at home in her sleep. I wanted to honor her on this day. After all, this was her entrance into heaven and the day she met Jesus face to face. This photo was taken the last time my mom visited me in Phoenix. We were celebrating her 75th birthday at T. Cook's at the Royal Palms Hotel. Here's me and Mom on a trip to California. I think this was taken in La Jolla. Back in the 70's, my parents moved to Florida from New York. In her spare time, she modeled. Even as she was getting older, she was still very beautiful. Check out this ad for American Airlines below. And no, that's not my dad. Here are a few more ads she did for magazines. Mom was always such an outgoing, friendly person. She loved people and ...people loved her. She always had a joke to share. She loved babies, dancing, playing the piano, her Norwegian heritage, friends and especially ...her family. Mom always had time for her family. Coming home was like going back to being a child in many ways. I was never too big to find comfort from my mom. She was the best listener. I'm looking forward to the day when I get to see her again. Until that time, I always want to honor her memory. She was so loved and is greatly missed. You mom was very beautiful, and from how you lovingly describe her, she was even more beautiful inside. Thank you for sharing this heart-warming tribute to her! This is a wonderful tribute to her. Such a sweet tribute to your Mom. Hugs to you today, friend. what nice things you said about your mom. She was so beautiful. I can tell by her smile that she was a wonderful person. I think I have seen that first ad before. I know this has to be a bittersweet day for you. Be blessed with the memories and the anticipation of seeing her again! OH, Debbie, my Mom died totally unexpectedly two years ago this past Nov. and not a day goes by that I don't miss her. You are so right, we are never too big/old to find comfort from our Moms! She's the only person in the world that was interested in what I was cooking for dinner. oh what a beautiful tribute Debbie! Your mom was so beautiful, and so is her daughter... those Norwegian genes run strong! But mostly... your hearts are both beautiful. I'm with you - it is going to be such a glorious day when we are all united once again! Thank you for sharing this on this special day! Beautiful tribute to your mom Debbie! It will be a very blessed day when we are all together again! 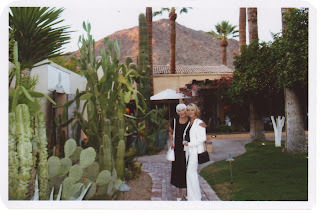 Debbie~ Your mom was beautiful - and so are you! I know you miss her so much. Well, I cried. I am so very grateful for the hope of the gospel and the assurance of future forever reunions! A lovely post and a lovely lady! mom will be together again forever. 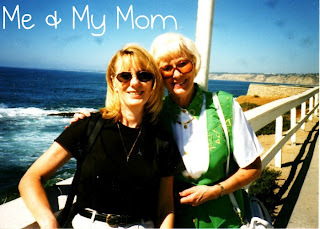 This is such a sweet, beautiful tribute to your mom, Debbie, and I am so thankful that you have the assurance that you will see her again someday. She raised a beautiful daughter, inside and out. You two must have been very close and a real blessing to each other. Such a sweet loving tribute to your mom...she sounds very special. You have certainly honored her today, Debbie. Beautifully so. I see her beauty in you. Beautiful tribute to your mom! Nice to meet you too! and tell Heidi hi! She is lovely. :( Sorry you're without her! What a lovely woman and kind mother! You were truly blessed. And to know she is with Christ is comfort indeed. Your mom was a beautiful woman, and what beautiful words as you've honored her memory today. She is beautiful on the inside and out! I loved seeing the photos of your mom. I'm so happy I had the priviledge of meeting her - and yes, just meeting her even briefly comfirms what you say, she was just so likable. It was a beautiful tribute you gave her in this post. What a lovely way to remember her. Beautiful memories and tribute to your beautiful mom. ...I understand and look forward to the time when we will be reuntied with our moms :o) Praise Him for this assurance. It's obvious that your mother was a beauty, and so are you. I have studied the "model pictures" of her and found two special things that draw my attention. 1. Your mother was a natural. She has the same look on the model photos as the ones from your private album. Knowing how great difference photoshopping can do, that really impresses me. 2. Your mother looks strong, comforting and also very comfortable to be who and what she was. She was not super skinny, but she poses as if she owns the scene,- and she does. Her smile, like yours both are irresistible. I doubt that she always was happy, nobody is that lucky, but I bet she always found the best way to deal with the challenges life gave her. She must have had a talent for being happy and spreading happiness. I think she never stops caring for you, even when in heaven. She just don't feel sorrow and pain like we have to do here. but Debbie, you are never alone.